Fun With Puzzles Brain Teasers Find the Mistake Observation Test Picture Puzzles Puzzle Videos Puzzles Puzzles for Adults FIND THE MISTAKE IF YOU ARE GENIUS! FIND THE MISTAKE IF YOU ARE GENIUS! Here are the tricky picture puzzles which will challenge your brain. These find the mistake picture puzzles for genius minds who have very good observation skills. Solving these picture puzzles will help you to improve your observation skills. This video contains 5 tricky mistake finding picture puzzles. Each picture in this video contains one mistake. 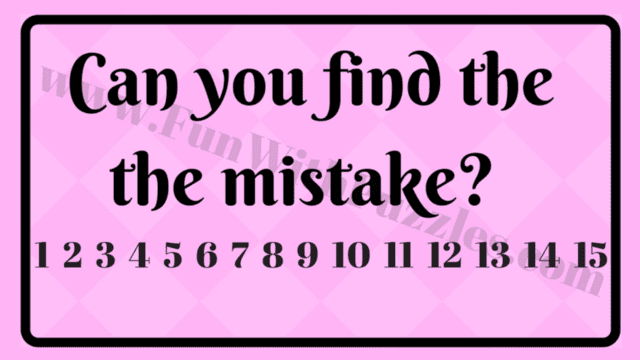 Can you spot the mistake in each of these puzzles?